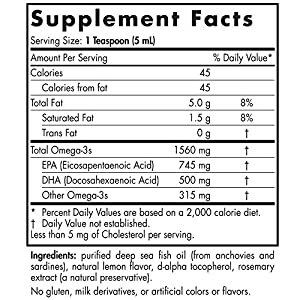 Other Ingredients:Purified deep sea fish oil (from anchovies and sardines), natural lemon flavor, d-alpha tocopherol, rosemary extract (a natural preservative).No gluten, milk derivatives, or artificial colors or flavors. 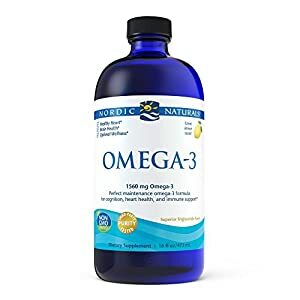 Nordic Naturals Omega-3 offers 1560 milligram of omega-3 per serving, for surpassing the expert-recommended dose of 500 milligram per day. Adequate omega-3 intake is essential to support good nutrition and overall well-being, including healthy heart and brain function, as well as mood, cognition, and immunity.